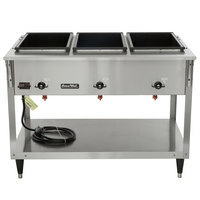 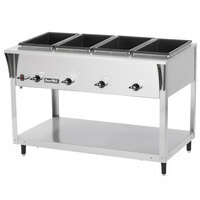 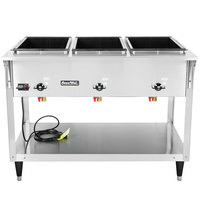 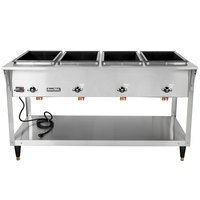 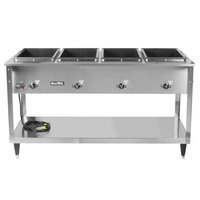 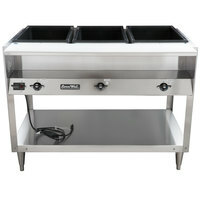 Hold hot food items for extended periods of time and keep them out of the danger zone with our selection of electric steam tables! 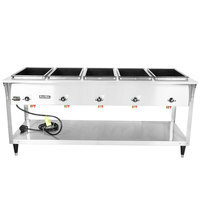 Each table comes equipped with a heated well that can hold water, and it creates hot steam that maintains temperatures until your food is ready to be served. Since these tables can keep foods warm for lengths of time, they're ideal for buffets, banquets, commercial kitchens, cafeterias, and catered events. 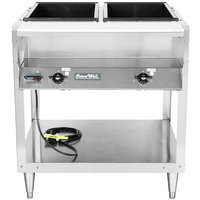 Choose from open well tables if you like the flexibility of using dry or moist heat, or try sealed well tables to eliminate the need for spillage pans. 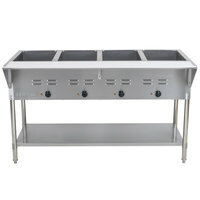 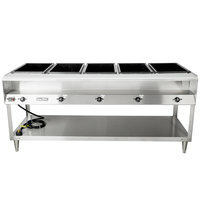 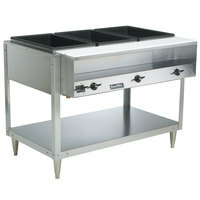 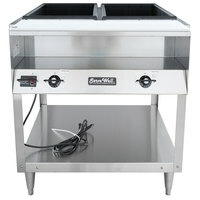 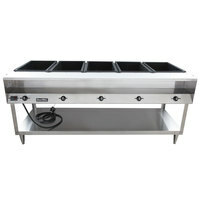 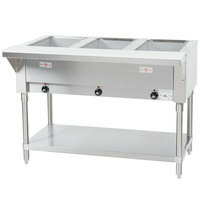 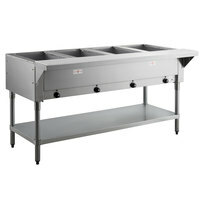 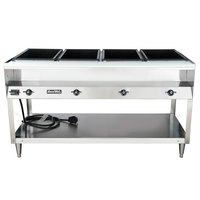 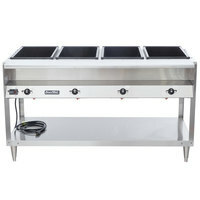 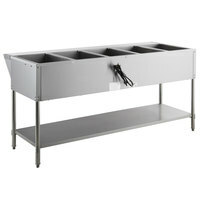 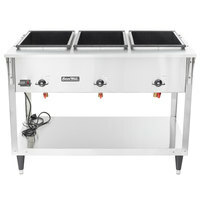 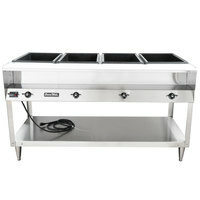 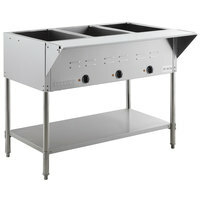 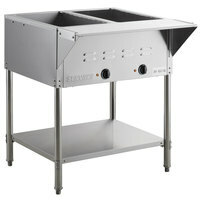 You can find an electric steam table with only two compartments or a table with several to suit your volume of food. 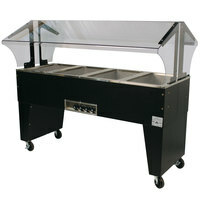 We also carry stationary steam tables for stability or mobile options that are easy to move around your venue, depending on your preferences. 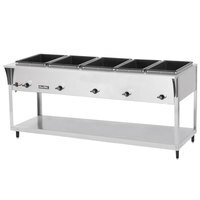 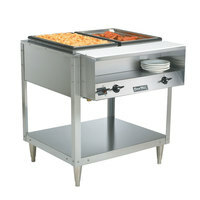 Good - This hot food table features a galvanized steel liner and keeps your signature menu items piping hot and ready to serve! 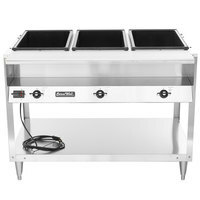 Best - This table offers the same great features and benefits of our "Good" option, but with a stainless steel liner for added durability!